Enthusiasm sells. 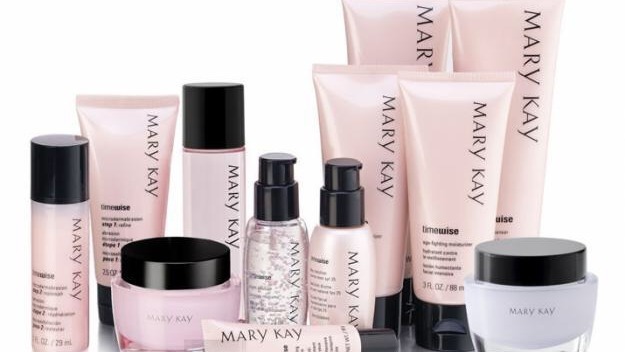 It absolutely must because there is never any occasion where Mary Kay sales training starts without the facilitator telling you how excited she is. Her hope is that you will catch fire by her mere words, and she will have “sold” you the product. Her product is her “Simple Plan” whereby you can make (insert fictitious figure here) by just doing (insert fictitious action plan here) and you will profit not only in sales but in recruits, while achieving Diamond Star every single month, and can you say, “Queen’s Court”? Just like product sales in Mary Kay, results are never measured, never tracked, never evaluated. All these pie in the sky selling ideas are delivered with grandiosity and enthusiasm, as if every word dripping from the facilitators lips were utterly true. Wouldn’t it great if you had a sales job where all you had to do is do the math on paper and sell the story of how the math got on paper, without any real activity happening in the real world to support whether the math on paper matches the consultant’s actual experience? So there’s this “Simple Plan” scenario that has been foisted upon the pink masses for years. It starts with you booking 4 hostesses with 5 friends each who get to buy something from you and they are promised a “spa experience” for just being responsible to bring you a total of $250 in combined personal order and outside sales. In One day called a “Power Day”, you book 4 time slots, with 4 hostesses, who bring 5 guests to you, who buy stuff, and who all leave with the opportunity to go out there and lock down the equivalent of orders to get to$ 250, which will “Send them to the Spa”. How simple. That’s why she calls it a “Simple Plan.” But wait. I am not done. We have to do the math on paper. Do you know that this will generate $6,250 in retail sales? Of which you will do a wholesale order of $,3125? Because for this example we don’t want to mess up our enthusiasm with the idea that we usually tell you to do a 60/40 split of the money (60% to buy new products, 40% left over), or mess up our enthusiasm with Section 2 sample depletion, hostess gifts, no shows, cancellations, guests who buy nothing, cost of spa experiences should they actually be earned, travel, returns, bad checks, etc. And we surely do not want to damper our enthusiasm with any potential struggle to GET 4 hostesses who can find 5 guests, who ALL desperately want to go to the SPA, and who miraculously all show up for Power Day to boot! Look, all you have to do is to get her to sell a bunch of this set or that set. She can buy her own Miracle Set and then sell 10 mascara sets to get to $250, and You are going to “Send her to the SPA!! !” So you see how simple this is? And if you DO IT AGAIN, next month, you get 25 new women every month who will do the same thing! CAN YOU SAY QUEEN’S COURT!?!?!?! Many exclamation points and question marks are required to capture the exact level of enthusiasm that is sure to fire up your activity and allow you to reach these results. These words, delivered by a National Sales Director, who knows there is no way in Hell for the results much less the activity, to manifest in the real world of cosmetic party sales, are the product of a debased and deceitful mind. These words, are used for the facilitator to con herself into believing she actually has a viable opportunity to sell, while she neatly holds the trump card that if you, YOU, would have just used a “Simple Plan” you would have been wildly successful! I mean, it’s all on paper. She’ll try again. She’ll try other ideas, too. And sooner or later she’ll figure it out, that the “sales job” was never cosmetics sales. The sales job that she fell for happened when a woman pretending to be of substance, convinced her, that her selling scenario’s were actually true, instead of mathematical pencil scribbles in a perfectly pink world. Just because a plan is “simple” doesn’t mean it is “easy”. To quit cigarettes, you simply stop buying them and smoking them. Simple? Yes. Easy? Heck no! Unfortunately, simple solutions are presented as easy solutions in MLM. Anyone not really familiar with all the BS around MLM’s will buy into it – even smart, educated people. Legal MLMing is when double retail sales trump/override recruiting and self purchase/qualifying by consultants system wide. That. Never. Happens. Not only does the MLM company promote “build your business”, why pay double retail when anyone can join and pay less? You know the MLM advantage(?)! And why would the company want “you” to pocket a 50% markup they never see, when, rather, if you recruited your double retail customer, the company gets a far bigger order FOR THEM and they expand their reach exponentially. “Legal MLM” is an oxymoron. Again, it only looks good on paper. When practically applied, it fails the test. Double retail = Since consultants are the real customers, they are first line retail. Also, it is very easy to pay that single retail price via eBay, or threatening not to order unless the consultant passes on their price. Only a fool, or a sympathy purchase, pays that double retail price in MLM. Mary Kay and all MLM companies = nothing to be proud of and plenty to be embarrassed about – unless you are a shyster, scammer, liar. There is an alternate outcome of these so called proven results scenarios. Almost sinister. Since the way any cult keeps you in (and complying with the program) is to create dependence, the best way to do that is two fold. Keep lowering self esteem, while offering a method or carrot that suggests a way to redeem yourself. “All you have to do is” one such method. It makes it look simple. You are an idiot that you haven’t figured this out yet. Get it together! We are all thriving while you are lagging behind. What’s wrong with you? So you will try again, and try the next thing, and then try the next thing. In one scripted manipulation you are made both substandard and then dependent on Mary Kay, to repair your loser status, and finally…FINALLY, arrive. It is very much like a Gambler’s Addiction, you can’t leave the table…all your money is there….you HAVE to “try again”. Finding that many people who will be excited to have parties and buy stuff would only be easy in fantasy land where everybody is so excited about MK, loves home parties and pushy sales people, and has endless money to spend. Unicorns and fairies live in fantasy land too. Like the post said, expenses, cancellations, general lack of interest in the product and sales party in general, travel, phone calls to recruit people (and people avoiding you like crazy) is not mentioned. There is nothing simple about her simple method. Simplistic, yes. Oversimplified, yes. Scrubbed of so much essential information that it’s completely misleading, absolutely yes. Fluffed up with false statistics and totally unrealistic expectations, you betchya. But simple? As in, “follow my easy instructions and you’ll make a profit”? Not by a long shot. If it was that easy to make a profit she’d be doing it herself, and not recruiting other people to do the oh-so-simple work. This is like the “$10,000 Cash Christmas” idea. In all my years in MK, I never met a single person who had a net profit of $10K during the holidays. Ridiculous!